Blogger Bad Request Error 400 Solution : Get your Dashboard Back and Publish a Blog Post! Are you getting this error on Blogger or Blogspot whenever you try to log-in to your account or post a blog? For some reason, I got it earlier. I tried restarting my PC and using various browsers to no avail. Eventually, I tried tweaking my browser's settings and found that the solution is actually very simple; I just needed to clear my browser's cache and delete cookies. If you're using Google Chrome, just click on the Wrench icon on the upper right corner of the browser, go to Tools and click on Clear Browsing Data. 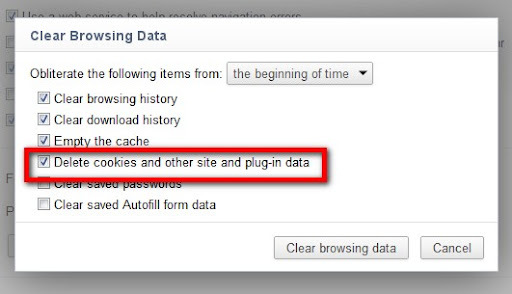 After deleting cookies, restart your browser. There you go. Let me know if it worked for you. I have experienced this one too. Good thing clearing cache and delete cookies helped. That totally worked! YOU RULE! Thanks. That's great! :) Glad to help! This really worked. Thank you. Why did this happen? What causes the problem? It Worked! That's crazy! Thank you so much!